Nice job here, Chief! Very proud of you and your willingness to lead with your (and your department's) VALUES! From one Chief to another.... WELL SAID !!!! Great blog Chief. You explain both aspects of the warrior/guardian well. It sounds like you lead your department to develop the right mindset and rely on training, which will be the most effective tactic and easiest to defend. Thank you, Chief, for this! Even though I am a dispatcher I have often been called anti-police for condemning the actions of officers whose behavior does not reflect the oath they took. No, if you even have to ask the question you are on the wrong page. As a former cop and veteran I am never tempted to confuse the roles. The street can be harrowing and demanding and can be injurious both physically and mentally but it is not combat. Be . The best Guardian you can be and leave being a 'Warrior' to those who have been trained and baptised into the role. With respect. Great post, Chief. If you haven't already, I suggest you read the book "The Heart and the Fist" by Eric Greitens. He is a former SEAL and currently a candidate for Governor of Missouri. Among my favorite passages from his book is, "What makes SEALs special is that we can be thoughtful, disciplined, and proportional in our use of force. Years later, in Iraq, I’d see a group of Rangers blow through a door behind which they believed was an al Qaeda terrorist, take aim at the terrorist, assess that he was unarmed, and then fight him to the ground and cuff his hands behind his back. They did this while other Rangers, at the same time, in the very same room, positioned themselves over a sleeping Iraqi infant girl to protect her and then gently picked her up and carried her to an Iraqi woman in another part of the house. As Earl [Greitens's boxing coach at Duke] used to say, “Any fool can be violent.” Warriors are warriors not because of their strength, but because of their ability to apply strength to good purpose." I've been policing for 27 years and I'm sure you'll agree that situations like he described have occurred in both our communities with regularity. Be strong, but be honorable. You can't have one without the other. Nice letter, Chief. I appreciate you being openminded. I have been retired for 8 years now and involved in law enforcement the past 40 years having spent 32 years with the LAPD. I have written three books and currently conduct training to law enforcement and my most popular class currently is entitled "Dealing with the Ferguson Effect". The truth is that "warrior" and "guardian" are just two of the many roles a cop on the frontline must take on. 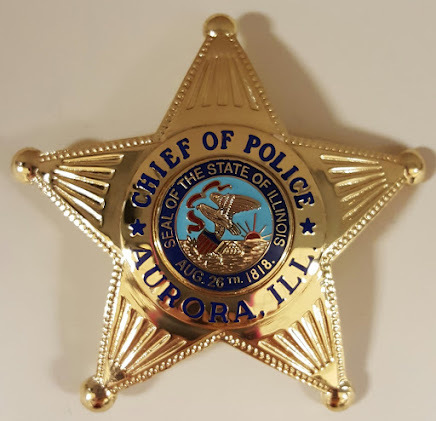 The officer wears many hats and what makes one officer more effective than the other is the ability to think on your feet and apply the most appropriate role to a particular situation. To assume that everyone presses a button on their uniform and goes in the field as a warrior or a guardian tries to simplify a very complex job. it's just not that simple. Also, de-escalation is presented as some sort of "new" philosophy being offered to law enforcement. When I was in the academy in 1975, I was taught that whenever you can, you talk your suspect to jail. And thousands of years ago, Sun Tzu is quoted as saying "The supreme art of war is to subdue the enemy without fighting." Hardly a new and unique concept. I respect you and your position but the much of law enforcement's management across the country is catering to public opinion and that is not serving the "entire community". it is also alienating the troops on the frontline and the law-abiding citizens are the ones that lose with this mess being created. Feel free to check out my website at www.gangcop.com and/or contact me if you'd like to discuss this even further. Best wishes to you and the members of your department.